When selecting the right tape for carton closure, there are many contributing factors that must be considered, and different situations call for different carton sealing systems. The last thing you want to contend with when sealing a box for shipment is adhesive failure. Whether the environment in which the box is being sealed is dusty, damp, dry, hot, or cold, IPG’s water activated tape can be easily applied and forms an instant bond with the corrugated box to which it’s sealing. Most pressure-sensitive tapes take time to develop a bond when applied to a box. Water activated tapes bond instantly to both virgin and recycled fiber surfaces and therefore generates an immediate destructive bond resulting in a tamper evident package. IPG’s line of water activated tape is specifically designed for fast, permanent adhesion and superior strength. Cracking of the adhesive surface provides IPG’s paper tape with excellent flexibility for sealing carton corners, edges and irregular surfaces. Each line of water activated tape we provide features its own set of benefits. If it’s an environmental solution you’re seeking, IPG’s water activated paper tape is completely biodegradable, making it 100% recyclable and repulpable. Green Core Paper tape is also offered which is made from 50 % recycled material. The reinforced water activated tape’s fiber will be irreparably damaged upon tape removal, creating a pilferage proof seal on every box. IPG’s water activated tape provides peace of mind with each box it seals. Water activated tape is easily printable, improving the appearance of packaging and making it an efficient way to provide freight direction to handlers or drive corporate messaging to customers with each and every box leaving a facility. Whether the custom printed tape features a logo or message, printed water active tape is a cost effective solution that drives brand recognition. Custom printed tape eliminates the need for pre-printed corrugate boxes, resulting in a reduction in box cost and reduced inventory requirements. In addition to being a cost effective solution, another benefit of printed WAT is the ability to market to customers with the use of QR codes. QR codes are easily scanned with any smart phone, and can act as a support agent by taking the recipient to product/service information, customer reviews, warranty or repair information, or retail location finders. They can also be used to promote the company’s brand by acting as a social media driver, mobile coupon, contest entry, limited time offer, or rebate. QR codes allow the sender to customize their message as frequently as they’d like, and water activated tape is an excellent solution to drive marketing. When it comes to water activated tape, IPG has focused on innovative and technologically sound product developments. We have led the packaging industry with unique advances in processing technology and development of patented adhesives and continue to do so with innovative water activated tape and machinery solutions for the industry. 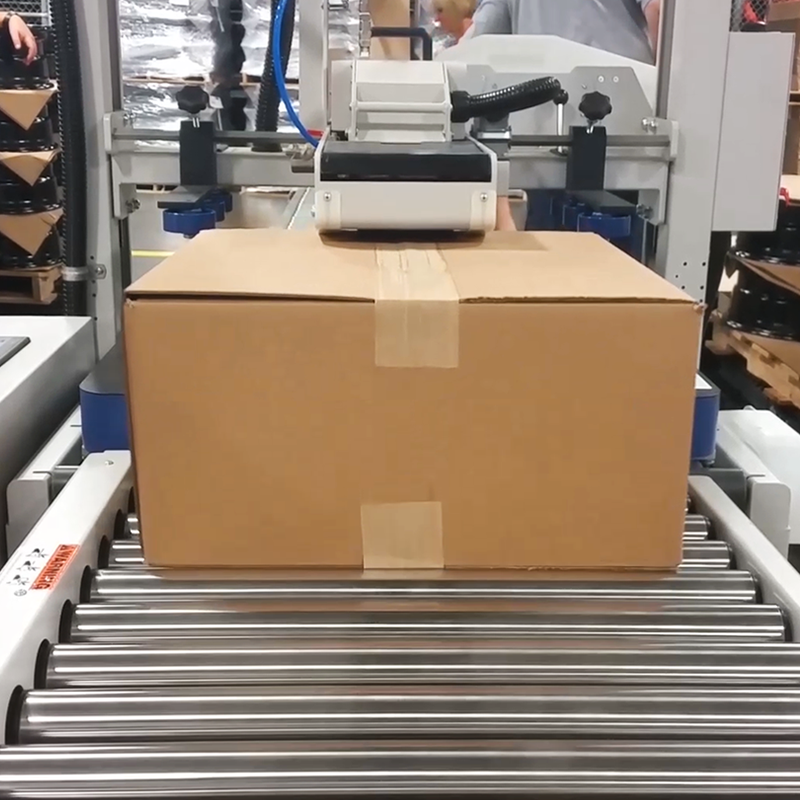 Here are the 34 ways a case sealer with definitely add value to your packaging operation.